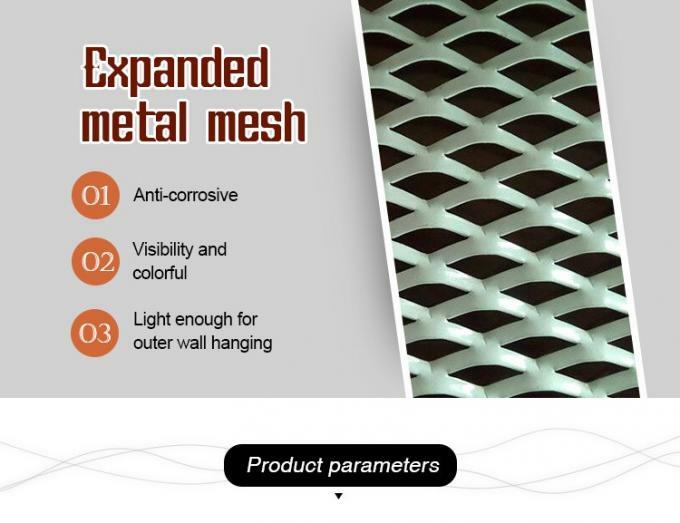 Aluminum Expanded Metal mesh is formed in an expanding press. 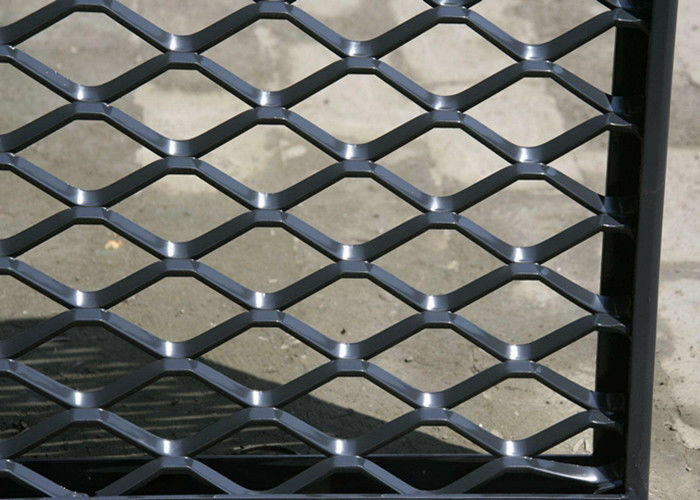 The basic metal is simultaneously slit and cold-formed, which expands the slits into diamond shaped openings of uniform size and regularity. 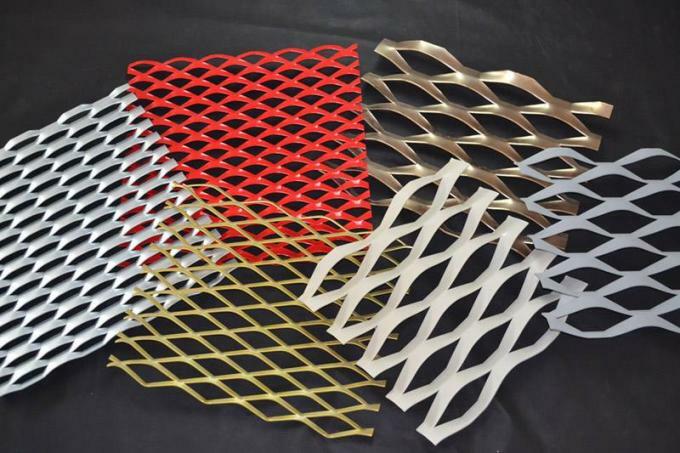 Aluminum Expanded metal mesh is a form of metal stock made by shearing a metal plate in a press, so that the metal stretches, leaving diamond-shaped voids surrounded by interlinked bars of the metal. The most common method of manufacture is to simultaneously slit and stretch the material with one motion. 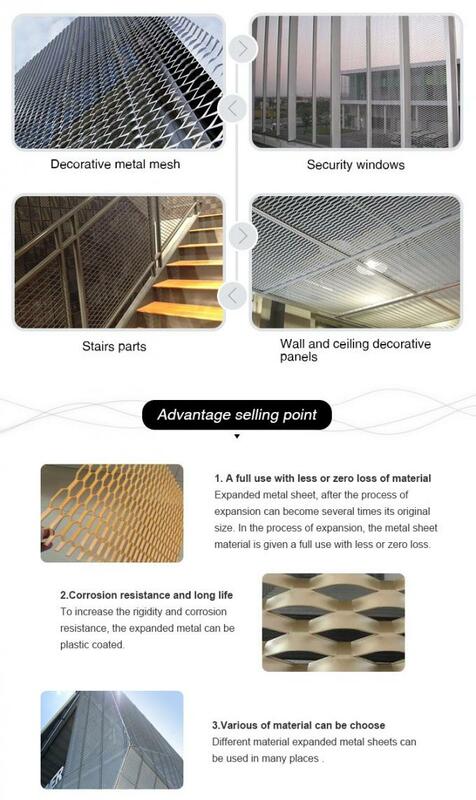 PVC coated, Galvanized,anodic oxidation, antirust paint etc..
Made up by Stamping and stretching the metal sheet, elegant appearance, sturdiness and durability. 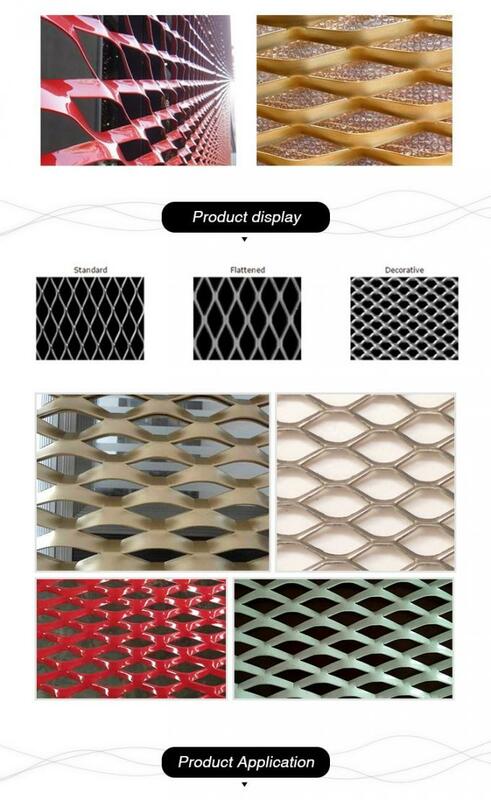 Hotels, airports, railway stations, conference rooms, hotels, stadiums, television indoor decoration, ceiling and outdoor curtain wall, and a variety of vehicles, such as air compressor cooling ventilation hood and mechanical protection cover, acoustics, filter, air conditioning, satellite antenna, outdoor furniture, machinery facilities protection, highway barrier, building decoration..ect.